With advancing technology and on-going government initiatives to emphasise the harm associated with cigarette smoking, e-cigarettes and vaping are becoming increasingly popular. The breadth of choice and array of technical terms can be daunting at first, so here’s what you need to know as a beginner to the world of vaping. 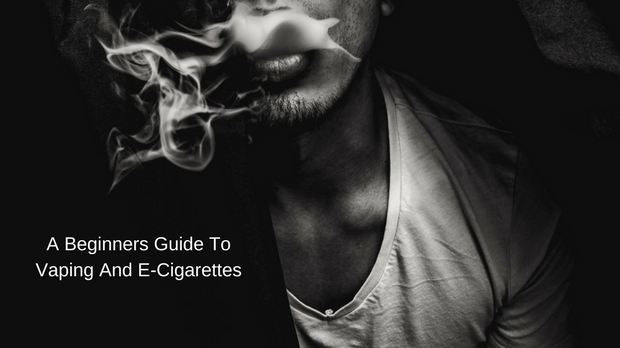 Let’s start this beginners guide to vaping with the basics, explaining what e-cigarettes are. There are many different types of e-cigarettes. Firstly, there are disposables, which look and feel more similar to a regular cigarette. Nicotine strength and flavour options are limited, vapour is usually minimal and the battery has a short life-span; after you’ve used it all, you dispose of it. Next are rechargeable two and three piece units. The two piece units have a rechargeable battery which you usually recharge via USB, buying separate replaceable nicotine cartridges as you need them. Three piece units have a tank, drip tip and longer-lasting battery. The e-liquid either comes in a cartridge, or can be directly poured into the tank. Then there are APVs (Advanced Personal Vaporizers). These are a higher end product with the associated price tag but they also allow for greater customisation. There’s a wider range of components and formats to suit your preferences and needs when it comes to how the device looks, the nicotine strength, the taste and the volume of vapour. Sub Ohm vapes fall into this wider category of rechargeable units, but the difference is that they have atomisers with a resistance less than 1 Ohm, resulting in much higher vapour output. Finally, there are e-cigars, which look similar to the real thing and are often used for those previously accustomed to smoking cigars. There are four main aspects to any e-cigarette. These are the charger, battery, e-liquid/juice, atomiser head and clearomiser/tank. 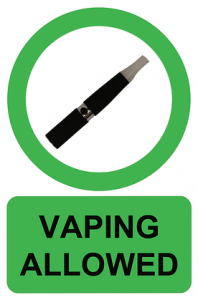 There are a few things to consider when choosing an e-cigarette. What are your reasons for turning to vaping? Do you have an idea as to how you want it to look or feel in your hand? Do you want a lot or little vapour? Do you want one that will last or one that’s disposable? There are stick formats that are closer to cigarettes at one end of the spectrum, then there are those that are larger and heaver with a box battery design at the other, with mid-range sizes in between.Then there are nicotine levels and flavours. Choosing which starter kit is right for you will often be a case of trial and error, so it’s a good idea to see what’s available and then to try small quantities of liquids first, adjusting nicotine levels and testing alternatives as you go. It’s important to know how to use an e cigarette properly when you’re thinking about how to use an e cig for the first time to ensure a positive and safe experience. Most would agree there are two ways to inhale with an e-cigarette. The first option gives you a mouth hit by holding the vapour for a short while (just a few seconds) in your mouth before fully inhaling to your lungs. This is more akin to the approach taken by cigarette smokers and it also reduces the vapour entering the lungs while the flavour can still be savoured. The second option gives you the lung hit, which is more common with sub ohm vapes, whereby you draw the vapour straight to the lungs, generally resulting in a larger vapour cloud. If you need more help or have any other questions then check out the 10 Common Questions About E-Cigarettes Guide. Slow puffs that are steady and longer in draw work better with vaping; you can’t vape like a smoker smoking a cigarette. As is the case with regular cigarettes and most other things in life, you may overdo it sometimes. You may find you’re vaping too much and experience symptoms such as headaches or dizziness while you adjust to the right e-liquid and inhalation approach. varying nicotine levels. 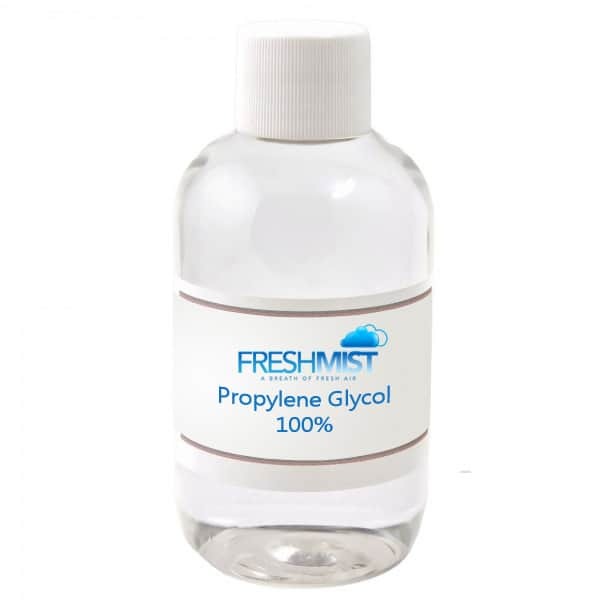 Most e-liquids will contain flavourings, nicotine, VG (vegetable glycerin) and PG (propylene glycol). Tobacco and menthol are standard flavours to start, especially when initially moving from cigarettes to vaping, before venturing out to try other flavours. Some e-liquids will come in a pre-filled cartridge that inserts into the e-cigarette, while others are sold in a small bottle that you dispense directly into the tank. A clearomiser, tank or cartomiser will be connected to the battery and they all fulfil the same basic function, which is to hold and dispense the e-liquid. The atomiser head contains the coil and some cotton. The power from the battery will provide the heat for the coil, which in tandem heats the cotton, at which point vapour is produced. For optimal use, the e-liquid needs to sit for a short while to soak the cotton. You can expect around two weeks of life upwards from these replaceable atomiser heads. The life of the atomizer head/coil will ultimately depend on how regularly you’re using the e-cigarette, the e-liquid viscosity and wattage. You’ll know when it’s time to replace the atomiser head because flavour will be lost, or may begin to taste a little burnt, and vapour will reduce. When it comes to learning how to use an e cig vaporiser, there will be slightly different instructions for different brands and product types.  Generally speaking, the e cig will either be pre-charged and ready to go, or it will require a full initial charge. This is usually a case of plugging it in via a USB cable, for example where there’s a USB connection on a TV or computer. Once the battery is ready to go, the e cig can be fully set-up, with the battery screwed in and the cartridge put into place, or the tank filled with e-liquid prior to taking your first vape. The battery will provide the power to heat the atomiser head/coil and juice. There are numerous styles of batteries, but the majority have a one-touch function, a type of ‘eGo’ battery, where you hold down a button while you inhale. There are often certain terms to help you discern what to expect from the battery. For example, mAh (milliamp hours) refers to the time between needing to recharge, so the higher the mAh the longer your e-cigarette will last before needing another charge. The voltage indicates how much power is required, and a battery with a variable voltage allows you to control the power delivered to the atomiser, essentially meaning you can deliver greater voltage for thicker vapour. There are possible risks associated with e-cigarettes, but these can be mitigated by following the instructions that come with the device and treating the battery with care. Safety is essential, so keep the battery away from extreme temperatures and water. It’s also important to avoid under and overcharging the battery, so try to unplug the device once it’s reached its optimal charge. Another decision to be made is regarding the level of nicotine you choose in e-cigarette cartridges. These are often in 0mg to 20mg strengths, with varying intervals. Higher levels will produce a harsher vaping experience and tend to be for those who were heavier smokers transferring to e-cigarettes. 6 or 12mg nicotine strengths are fairly standard for beginners. Many smokers and e-cigarette users will then wean this down to a level of around 3mg. There are commonly recommended strengths when it comes to nicotine in e-cigarettes depending on how many cigarettes you used to smoke if you are moving from cigarettes to vaping. For example, those who smoked 1 to 5 cigarettes per day tend to look for 6mg strength, 5 to 15 cigarettes may suit 10mg, 15 to 20 could suit 14mg, and those who smoked over 20 may explore options as high as 18mg. If you are vaping using a Sub-Ohm tank, the vapour tends to be more plentiful and stronger, so lower nicotine levels compared to standard tanks are recommended. These are, however, just a general guideline. Working out what’s right for you and what satiates your cravings will be a case of trying one strength and adjusting it, increasing or decreasing the amount accordingly. nicotine, in its own right, can have adverse effects on health. That said, there is plenty of anecdotal evidence that vaping has helped people to quit cigarettes for good. Many people will try to quit smoking with e-cigarettes as an aid to wean them off cigarettes, or simply to move from smoking to vaping entirely, because of cost and/or health concerns. Vaping is less expensive and since there is no combustion involved, merely a vapourising process, the majority of harmful by-products associated with tobacco cigarettes are not present. Moving from cigarettes to e-cigarettes can be quite an adjustment and it can take some trial and error to find what works for you and what you prefer. Coughing is common at first use, as is dry mouth, throat and nose, so drinking a little extra water at first can help. It’s not always plain sailing so don’t despair over still craving or turning to a cigarette here and there. Ultimately, it’s all about willpower and planning. Always have your e-cigarette with you, ensure your battery is charged, that you won’t run out of juice, and consider keeping spare parts or a backup device. It’s important to touch upon the safety and health implications when it comes to vaping. There’s a lot of debate as to the safety of vaping and e-cigarettes, but many studies suggest that it’s less harmful than cigarette smoking. Indeed, the Public Health English and the Royal College of Physicians claim that e-cigarettes may be up to 95% less harmful than cigarettes; e-cigarettes were also recommended in 2017’s Stoptober campaign as an aid for quitting and also in 2018. The world of vaping and e-cigarettes is continually evolving; new products are coming to the market in quick succession as more people turn away from cigarettes. Getting to know the basics as we’ve covered them here can help you get it right when it comes to choosing your first e-cigarette and having a successful, positive vaping experience.